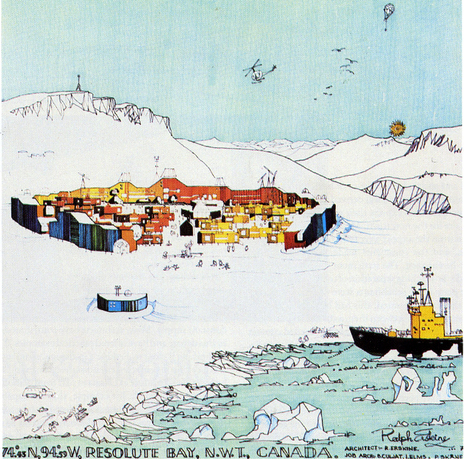 Ralph Erskine, view from the south of the proposed new Resolute Bay town design, c. 1973. The dual forces of climate change and globalization are rapidly transforming the arctic. With increasing temperature, retreating sea ice and permafrost, and the opening up of new shipping routes and opportunities for natural resource exploration, the region is poised to become a network of development and human migration as this new frontier is reshaped. 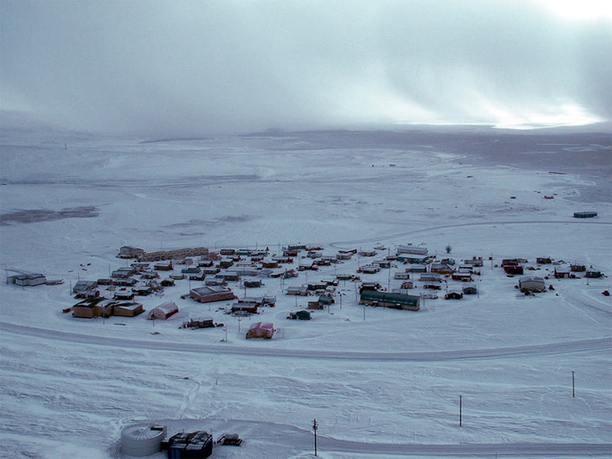 The design of buildings and cities in the arctic is in large part a legacy of political and economic cycles competing against geographical and environmental inertia. 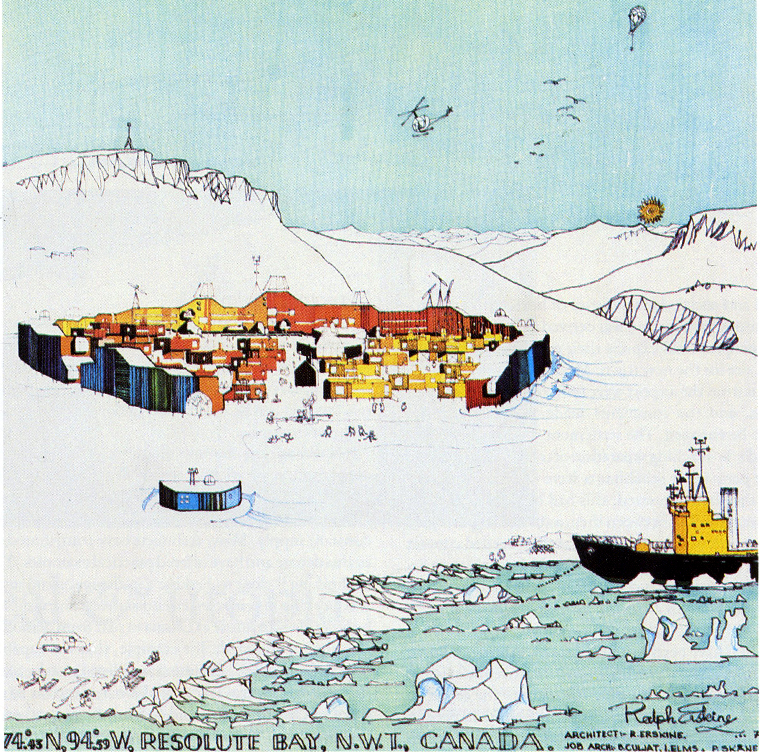 One of the most influential and controversial of these projects is architect Ralph Erskine's proposal in the 1970's for a new ecological town in Resolute Bay, Canada. 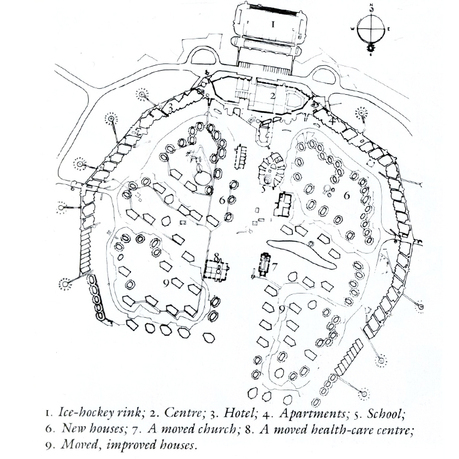 Although only part of Erskine's design was completed, what remains is a monument to his experiments on social and environmental design in northern climates. 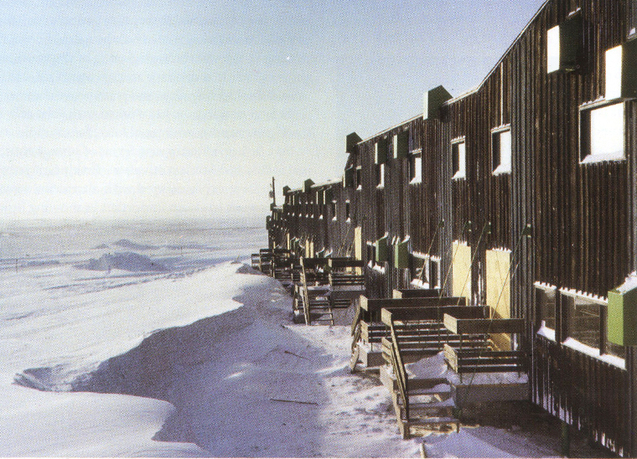 In Post-Occupancy Report, Erskine's surviving Resolute Bay project will be analyzed and documented in terms of construction and materiality, modifications and adaptations, and long term performance and impact on the town, in order to develop narratives for the future of northern architecture. Matthew Jull is assistant professor in the School of Architecture at the University of Virginia (UVA) and founding partner of the design practice KUTONOTUK. His research focuses on systems and processes of architecture and urbanization in extreme environments, specifically in arctic Russia and North America. He is cofounder of the Arctic Design Group at UVA with Leena Cho, and his design work has won numerous awards such as those from the Helsinki Central Library Competition and MoMA PS1’s Young Architects Program, and has been featured in publications internationally, as well as being exhibited at MoMA New York, Bunkkeri Helsinki, and the Danish Pavilion at the 2012 Venice Biennale. Jull received his MArch from Harvard University’s Graduate School of Design and his PhD in theoretical geophysics from Cambridge University. 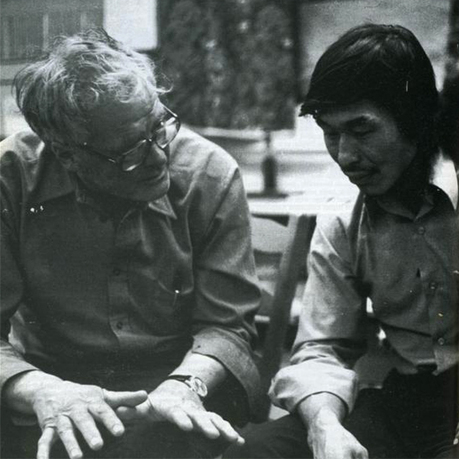 Prior to joining UVA, he was an architect and project leader at OMA/Rem Koolhaas in Rotterdam, The Netherlands.